200 gr Reusable Silica Gel Container - Interteck Packaging, Inc. 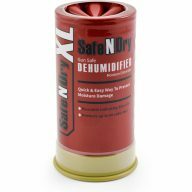 The 200 gram silica gel unit protects 15 cubic feet of enclosed space. 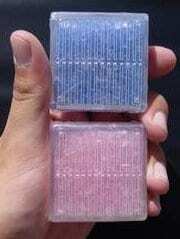 The 31/2″ x 2″ x 4 1/2″ corrugated carton has a built-in indicator that turns form blue to pink to signal when to reactivate. Unit reactivates easily in any conventional oven. Ideal for small safes, display cabinets, and other storage containers.